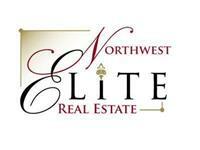 Specializing in Trilogy at Redmond Ridge. Bonnie has over 30 years experience in sales, marketing and customer relations. Before getting into real estate she was the Owner/President of a successful specialty contracting company for 13 years. She attributes her business success to providing customers with the best fit product and the highest level of service possible. Bonnie has an extensive background in developing and implementing proven marketing strategies which gives her a leading edge in the real estate industry. Bonnie continually seeks out educational opportunities to enhance her level of service to you. This pursuit has driven her to earn her Designated Brokers license, Accredited Staging Professional (ASP), Luxury Home Marketing Specialist, and Senior Real Estate Professional (SRES). If you want to sell your home, Bonnie will showcase your property in the best light possible, maximizing your sales price, helping to sell it quickly. She will give you the personal attention that makes the process worry-free. When offers are made, She will be there to negotiate on your behalf. Bonnie combines exceptional work ethic, current technology and the help of her profession network to find solutions for all your real estate needs. Contact Bonnie today to assist you in the marketing or purchasing of your home. She will take the time to listen to your needs and desires.